Thank you to Nestle Toll House for sponsoring today’s post and inspiring me to create delicious cookies with Nestlé Toll House Rolled & Ready Cookie Dough Sheets! All opinions and love of cookies are my own. The winter thaw is happening slowly around our region and spring is just around the corner! 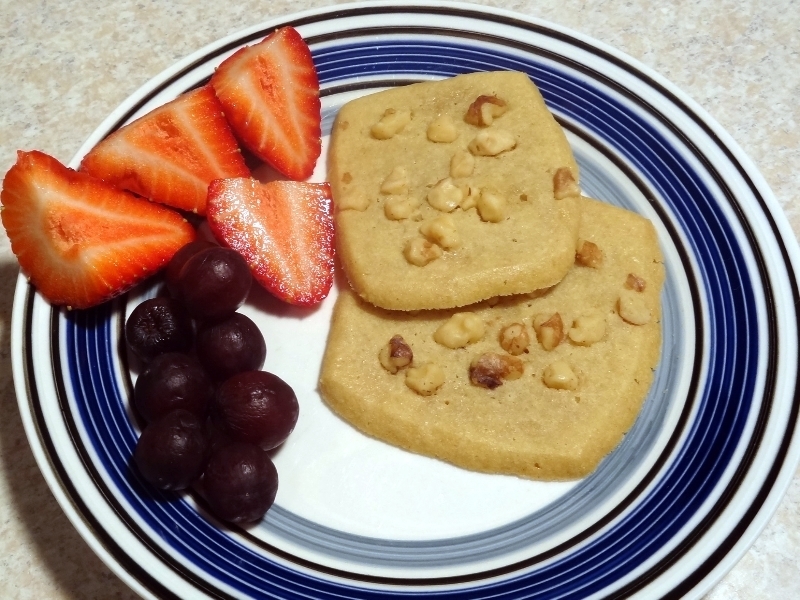 I was happy to welcome spring into my kitchen by trying out the new Nestle Toll House Spring Sugar Cookie Dough Sheets. Whipping up a sweet spring treat has never been so easy, or delicious! 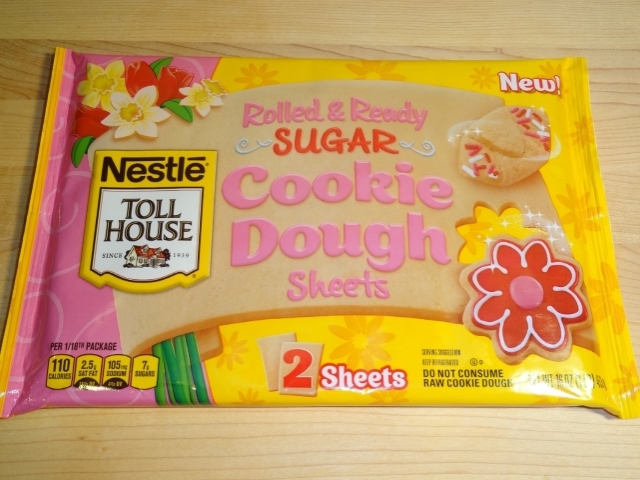 I’ve been a fan of Nestle Toll House cookie dough’s for ages, so I was thrilled to see these rolled and ready sugar cookie dough sheets on my last trip to the grocery store. They come with 2 sheets per pack, plenty to make a couple dozen sugar cookies in a hurry. 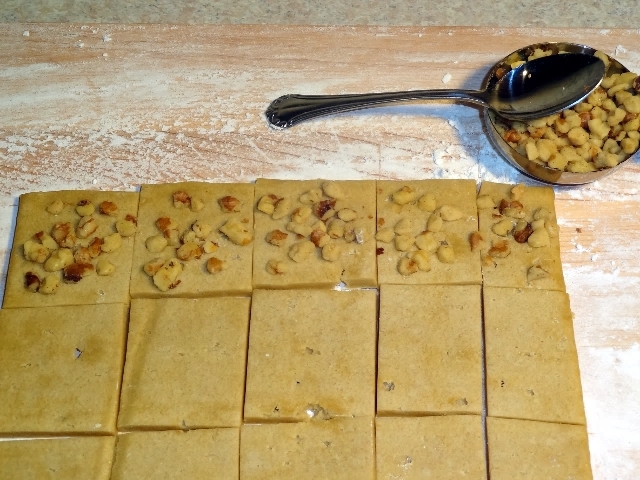 I usually make homemade sugar cookies, so having never used Nestle Toll House Spring Sugar Cookie Dough Sheets before; I headed to their website for inspiration. I was not disappointed! There are so many delicious looking recipes there. You should check it out. 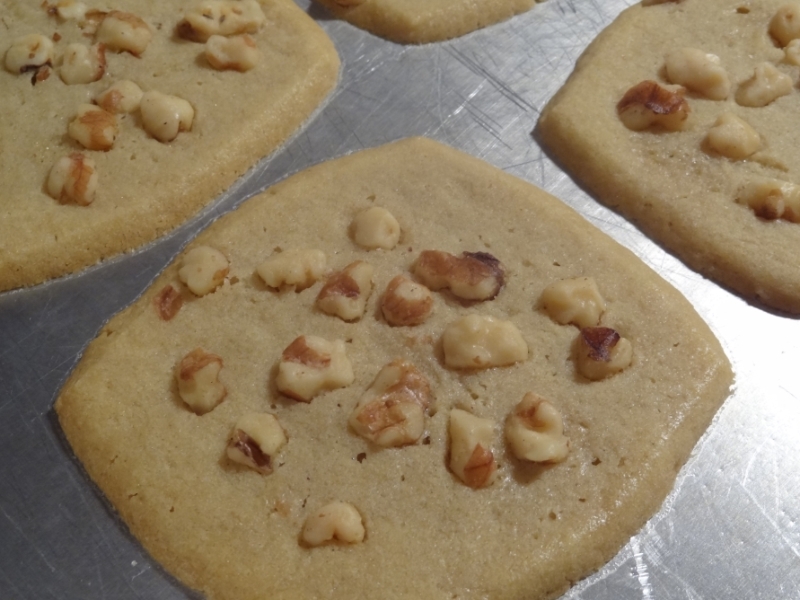 I decided to put my own personal spin on their Pistachio Sugar cookie recipe by using chopped Walnuts instead since that’s what I had on hand. Folks- these cookies are so delicious and so simple to make. If you've got younger kids that are just starting out in the kitchen, this would be a great baking recipe for them! Anybody, even non- baking types, can whip these babies up in no time. 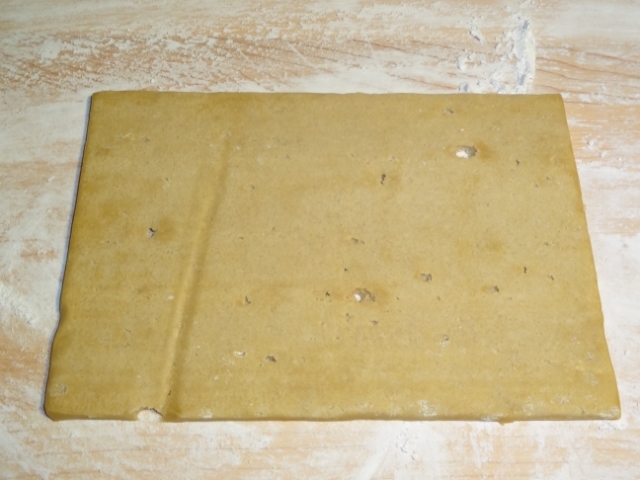 Place sheets on lightly floured cutting board. 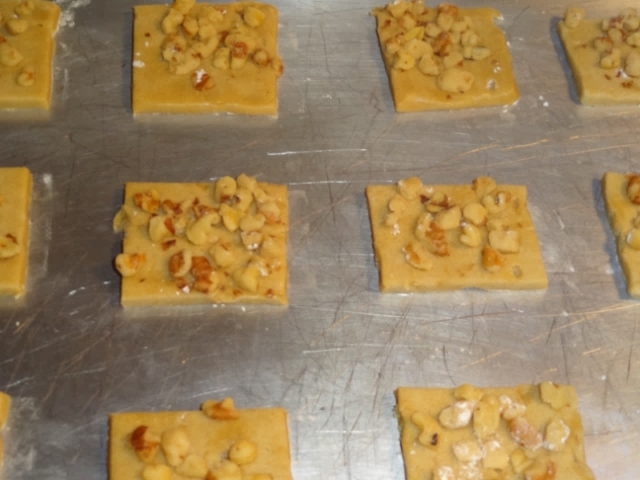 Using a pizza cutter or pastry knife, cut cookie dough sheet into thirds lengthwise and then each third into 4 or 5 pieces. Don’t stress on precision cuts. The cookies will look and taste fine. Sprinkle each cookie with chopped Walnuts. Place each cookie piece 2 inches apart on lightly greased baking sheet. Bake for 9 to 10 minutes. I decided to serve these cookies paired with fresh fruit and a glass of milk to my girls for an after school snack and they were a huge hit! If you are ready for spring time and Easter baking, I invite you to visit the Nestle Toll House website and check out all their delicious looking recipes and dessert ideas. You are sure to be inspired by one or more of their tempting treats, just like I was. Please share in comments: Do you have a favorite Nestle Toll House cookie dough or recipe? These are super simple to make. I am going to make them with my preschooler. These look fun to make! I am not a fan of walnuts myself but my father in law would love these!! What a great way to use these cookie sheets. I need to try this. YUM!! These look delicious and not too hard to make. Love it!! These look delicious! I love how quick and easy they are to prepare. The walnuts are a really nice touch. I love these cookies are pre made sheets of dough! Bet it makes prep and clean up super easy! I'll take a dozen!! these look great and super simple! What a clever idea! Love how quick and simple these are to make. Yum! Yum! I can't wait to test out the Nestle TollHouse Cookie Dough Sheets. Love the simplicity of it all! Thanks for the idea of adding walnuts! Perfect! These look so delicious. I would love to make them and add a little maple sugar to them. Yum! I love walnuts!! They are the perfect crunchy topping for a sugar cookie. Will definitely try this! I love this! I did not know they made the sheets but I NEED to get some now! I can practically smell the fresh from the oven fragrance! YUM! I never knew till House had dough already rolled out! Rolling out dough is one of the reasons I don't make cookies. I will be getting this soon and then become the person I was meant to be--Cookie Monster. These are a prefect way to bake with your pre-schooler. Enjoy! They are really fun to make. 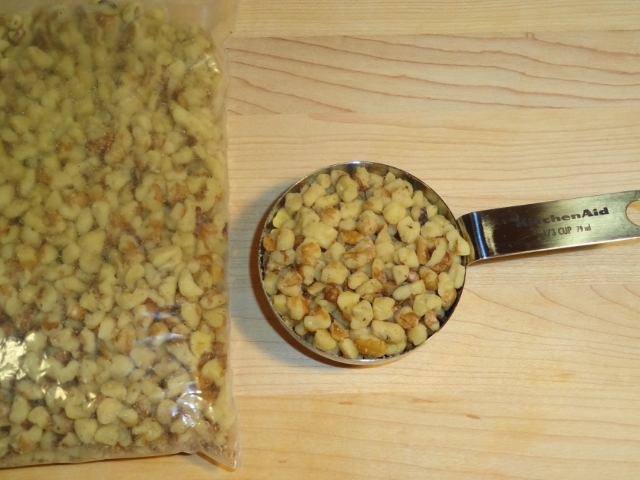 You can add any nut you like, I just happened to have a bunch of Walnuts. You and your boys will have fun with these I bet. They are super tasty and easy to work with. Let me know how your thoughts if you try them. These cookie sheets are so easy to work with. They are perfect for those times when you want a treat but may not have tons of time. Yes! The clean up time was nothing compared to making from scratch cookies. Ha! Thanks- you should try these with your cutie daughter for Easter. These cookie dough sheets pack lots of flavor in them, and are so easy to use! You are welcome! My husband and daughters loved the Walnuts too. I never thought of adding maple to a sugar cookie, but I bet that is tasty. Yes, please do try it. The Walnuts add just the right balance of savory crunch. They really do smell delightful! Nobody will ever know we didn't spend an hour making from scratch cookies with these cookie dough sheets. I'm so glad I could help you get in touch with your inner cookie monster. Enjoy! These dough sheets sound amazing and I will have to pick some out next week when I go shopping. I love nuts on anything so these cookies look totally amazing. Thanks so much for sharing. Those look really good. Love your little addition on the top! that is the best idea! love those cookie sheets! I just bought the break apart choc chip cookies last night, but did not see these sheets! will be looking for them in the store. nothing like a fresh warm cookie. your walnut topped ones look so good!! !